How to Trace Whereabouts of Trust Funds? Home > Ask Our Experts > How to Trace Whereabouts of Trust Funds? A close friend died recently but shortly before he died he told me that he had set up a trust fund in the names of his children. The fund consisted of some inherited assets. We cant find any detail of the fund amongst his things. Is there a central registration body or some other way to trace what arrangements he had made? Amongst the most difficult challenges facing those who must deal with the death of a relative or friend is that of locating documents and assets. Unless the deceased individual has left clear instructions regarding how to find these things, it is not uncommon for some arrangements to go unfound for good. Sadly there is no central database or similar tool for the registration of trusts. There are several reasons for this; in the first instance, it is not necessary to ‘register’ a trust in order for it to be set up. Indeed, most trusts are established with a few lines of text in a will. While this is good news for those who wish to set up trusts quickly and easily, it is unfortunate for those posed with the task of finding them. There are a few steps that you can take to locate details of the trust. You have not made clear whether or not you are the executor of your friend’s estate. If so, you will have fairly wide-ranging powers to look through their affairs. If not, you should obviously mention the existence of the trust to the executor if you do not think they are aware of it. 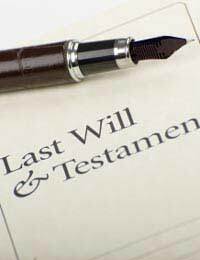 As has been mentioned, trusts are frequently established within an individual’s will. This is the first place that you should look. Have a solicitor look through the document to determine whether or not a trust has been set up, as this type of document can be confusing to the uninitiated. You should also contact your friend’s solicitor. Trusts are sometimes set up by lodging documents with solicitors or accountants, and they may therefore know more. Similarly, it might be worth enquiring at your friend’s bank; although it is less common now, some individuals used to lodge important documents with their bank managers. This is still fairly common for those with a particularly high net worth. In conclusion, there isn’t a central body for the registration of trusts. But you stand a good chance of locating the trust by looking closely at the individual’s will, including any codicils or other attached documents, and talking to key people with whom documents may have been lodged. Can Conditions Be Put Into Adult Children's Trust Funds? I'm hoping some one can help me, growing up my mum mentioned quite a few times in my life my grandadher dad had set up some sort of trust fund for me not long after I was born in 1993. As I got older I grew apart from mum but still had contact with my grandad a lot! ever since I can remember until my grandad sadly passed away quite unexpectedly June 30th last year, and my mum was left everything. Does this mean she has access to the trust fund not just mine the three other grandchildrens too? Also how do I go about finding out if there is some sort of trust fund left to me and if I'm slowed to access it myself?? I was told when I was put into foster care, that my real parents set up an trust fund for me, putting away bits and bobs into an account, I've tried to contact them about it but I just get blanked, if there is anything you can do to help me, then I can use it to put into my son's account for his future thank you very much I hope to hear from you very soon! Following the passing of my father I found some certificates for trusts and shares in various companies. Having contacted them I established that to proceed I required probate. All companies noted his death and took copies of the death certificate. I have since obtained probate and having contacted the companies again I have been told no investments can be found. One company eluded to the fact they were trusts and gave me an address to write to, but I was unable to move forward receiving the response no investment found. I did not find his will and the situation is complicated by the fact he lived in Africa and therefore address searches have been unsuccessful. To make matters worse certificates for some of the investments have been stolen and I have been unable to record there theft because I do not have the certificate numbers. I have traced through companies House the companies dealing with the investmentsand been told they are not the registrars. Please advise in respect of trust funds where multiple company mergers have occurred how I can determine the contact and required reference numbers using my 40 year old paoerwork. I'm a south African,My was half Swazi born in SA,We got married in Swaziland ,We had serious differences that separated us though the business was a special arrangement to let me carry on working until my his 60th,We chose never to divorce as he had other issues,He passed on 2015 All relevant documents are missing ;including the will and my papers are hidden because we had a worker fronted but she ended being the other woman?Upon going to the master of the court she had fraudulently declared I had died then qualified to buried my husband within a week as his wife!She's currently fraudulently living high ignoring my existence,I am just watching looting of my legacy!I'm told she's trying to bribe some lawyer to the trust fund to be paid out in January,The offices of the master were unusually ignoring her lies for the estate?She knows about me but just doing fraud in the open !Hiw she acquired the SA papers &marriage certificate is another story!PLEASE ADVISE! My father passed away without informing me where is the trust fund he left me that he spoke about a lot. How can I track it? There isn't anyway we know of that would help with this other than trying to communicate with relatives. I have a two trust funda in my name that both my parents have put in place for me. My father is in prison and my mother has bipolar as are therefore being spiteful and nit allowing me to have them. Could you help or should I get over it? How old are you? If you're over 18 and the trusts are in your name, seek advice from a legal professional. They may be able to help you access the details of the trusts at the very least. I would like to ask If there is anyway to trace my own trust fund that was opened for me a child. I was born in south africa and moved to england when I was 7 and the account was opened over there. What are my options with this?